Jung-eun Kim was born in Changwon, South Korea, and made her solo debut with the Changwon Philharmonic Orchestra at age 11. Since then, Jung-eun has won several prizes both in the United States and Korea, including the Fresno Musical Club Competition, the Berkeley Piano Club Dorothy Van Waynen Competition, the San Francisco Conservatory of Music Concerto Competition, the Eumaksekye Piano Competition, the Ceramic Palace Hall Concours, and Music Education News Concours. Jung-eun has concertized with numerous symphony orchestras, including the Konkuk Symphony, the Changwon Philharmonic, and the Changwon Youth Philharmonic in Korea. In 2015, she gave a recital as part of the Rising Star Debut series, “The 25th Sinchoon Concert.” In the United States, she was featured with her chamber group in the NPR’s From the Top program broadcast nationwide. 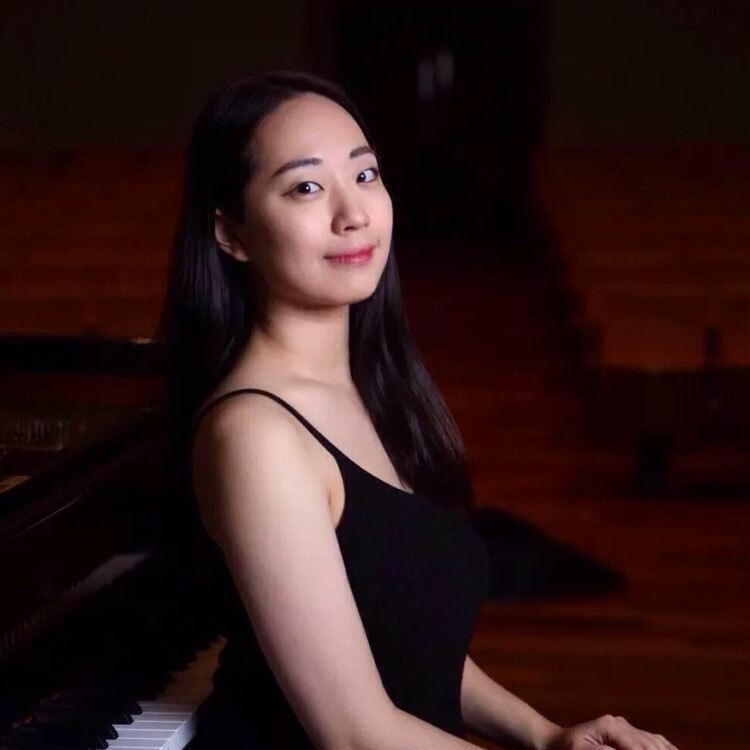 Jung-eun has also participated in master classes with legendary musicians such as Leon Fleisher, John Perry, Bernadene Blaha, and James Giles, Eugene Pridonoff and Elisabeth Pridonoff. She is currently pursuing her Professional Studies Diploma at the San Francisco Conservatory of Music with Yoshikazu Nagai.